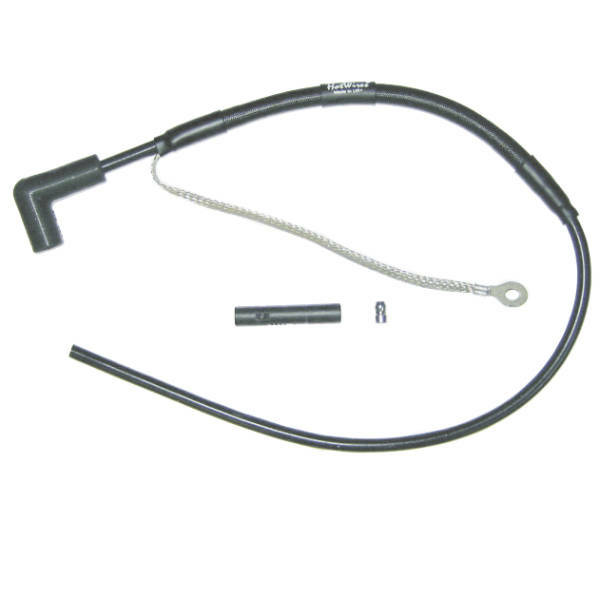 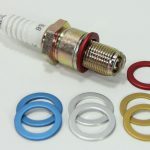 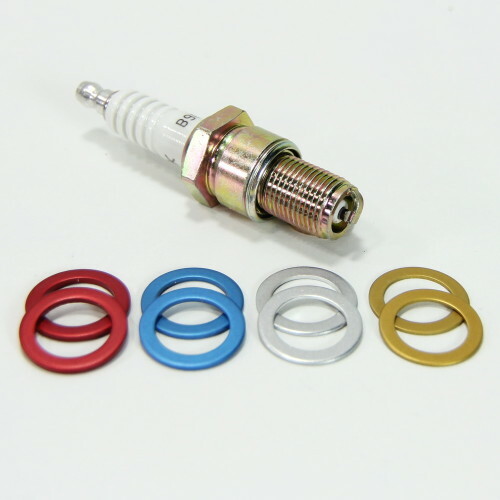 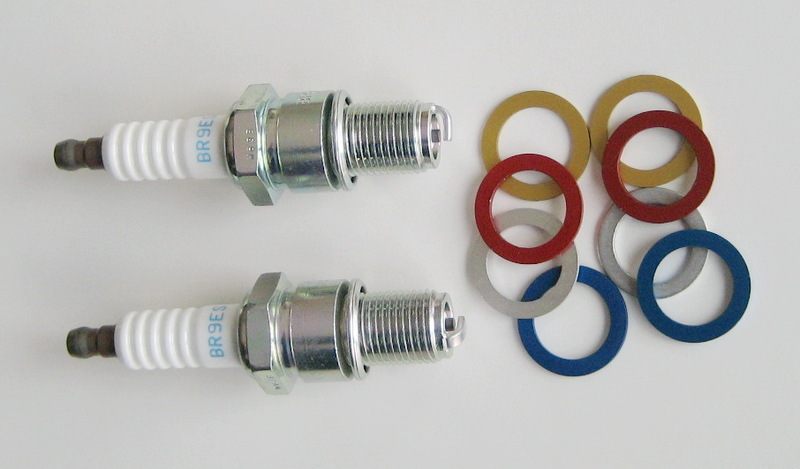 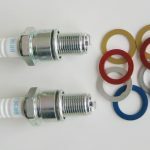 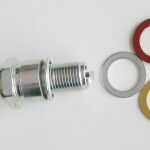 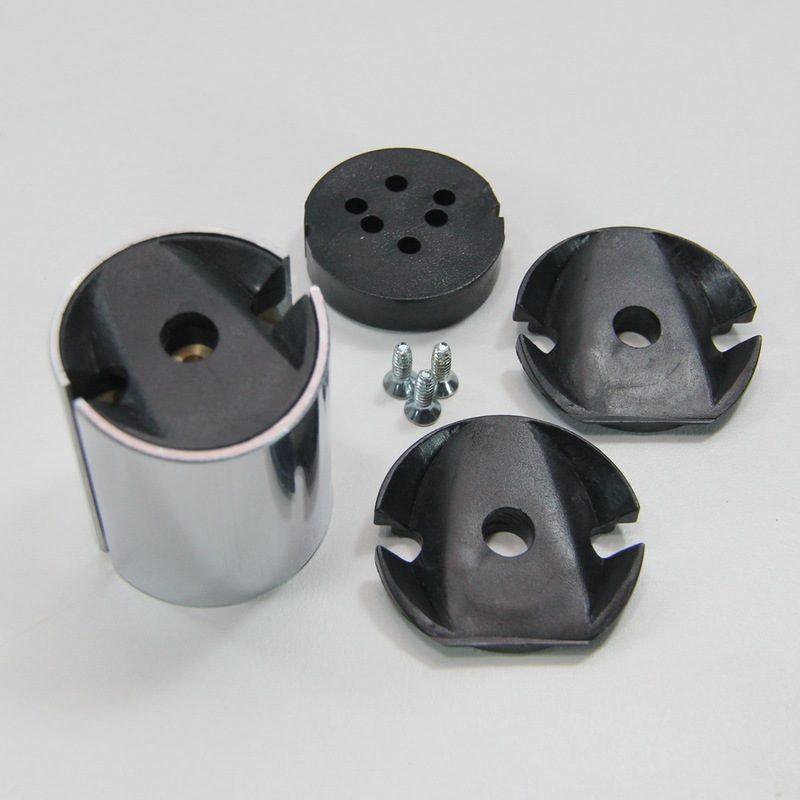 Index your spark plugs to point the open end of the electrode directly at the intake with our anodized shim kit. 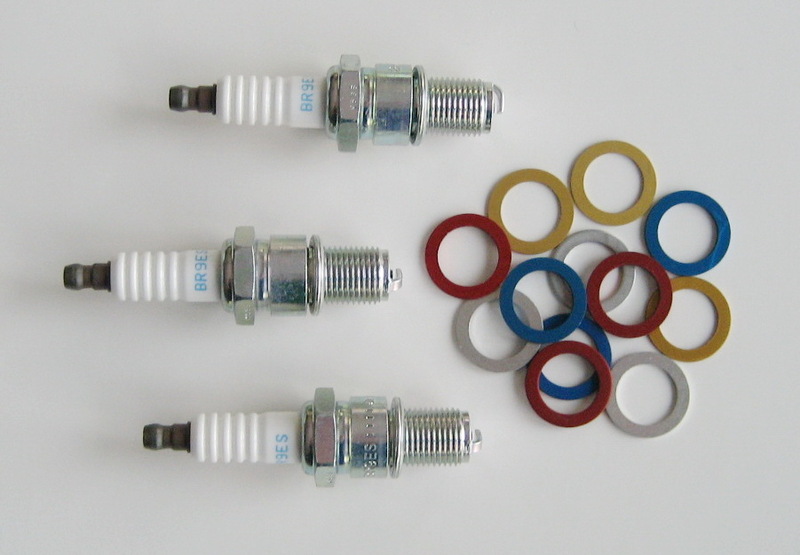 Gain performance, fuel efficiency and plug life by having your spark plugs properly indexed. 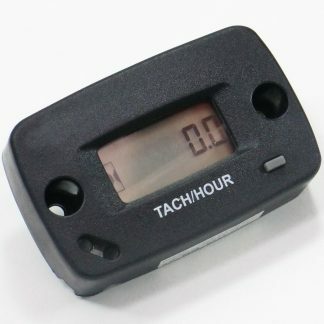 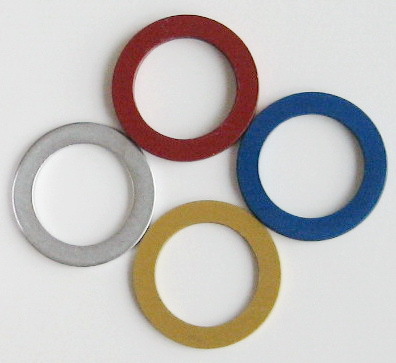 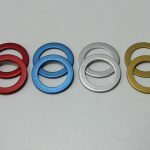 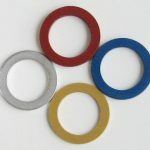 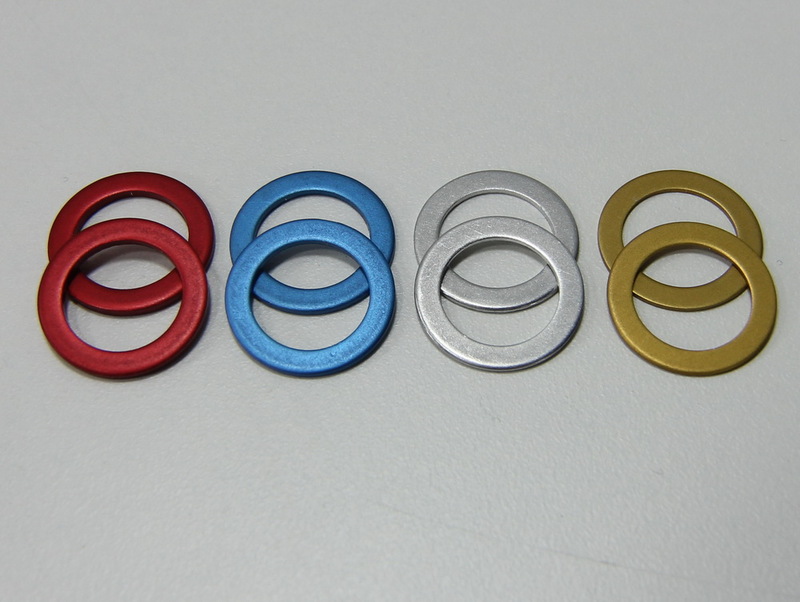 Anodized aluminum construction for superior heat transfer and sealing. 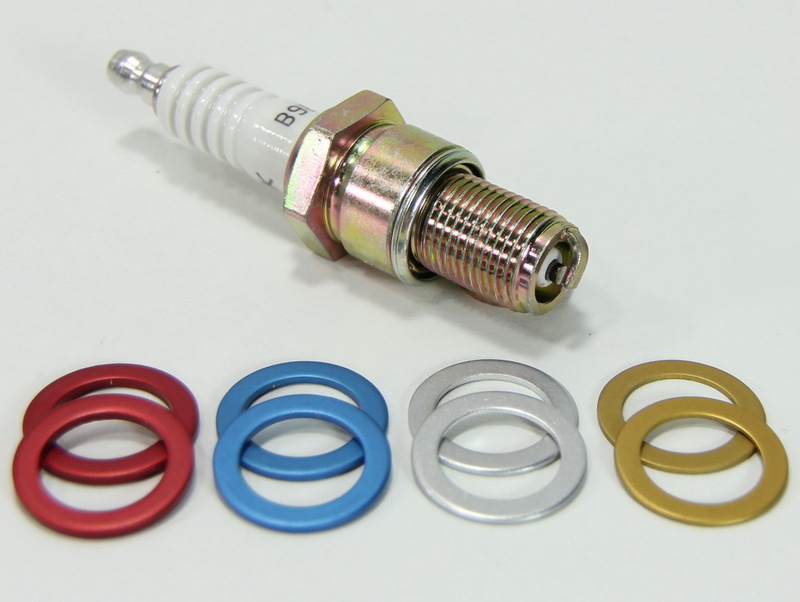 Have you ever removed your spark plug and noticed one side of the plug is dark and the other side is light? 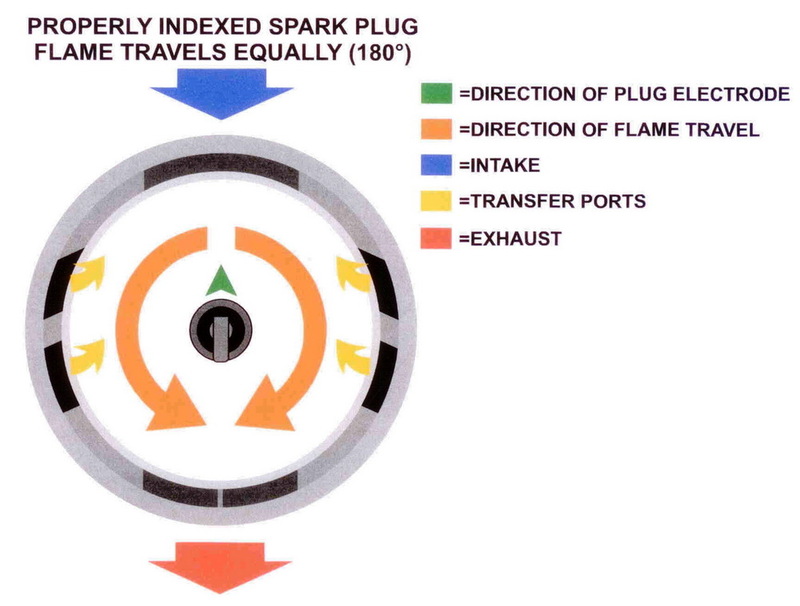 This has to do with where the spark is placed in the combustion chamber. 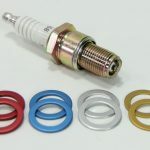 Pointing the open end of the electrode directly at the intake gives the spark and flame front exactly 180 degrees of travel on each side until reaching the exhaust. 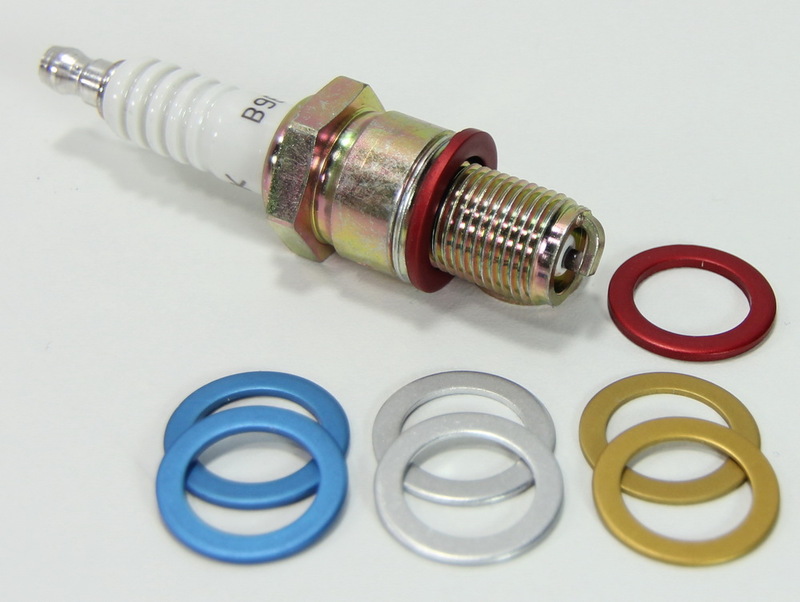 The correct electrode placement gives you an even consistent burn. 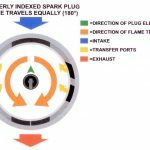 Smokey Yunick, the legendary NASCAR engine builder says indexing the plugs on a NASCAR engine produces approximately 8 hp on the Dyno. 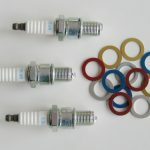 We won’t see any numbers that large on small engines, however, we know the science is correct.